The Adam Equipment DCT Dune's overload protection system prevents damage to the internal components from accidental overloads. The overload indicator will give a visual sign to indicate to the user of an excessive weight load. The DCT Dune is extremely simple to use with only three buttons; on/off, units, and tare. The positive push button feel provides trouble free operation. 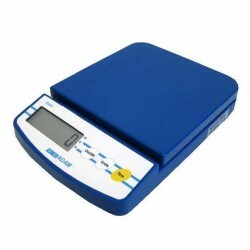 Weighing units can be changed quickly and the indicator shows which unit you are using.